When you think technology, you probably think Silicon Valley. 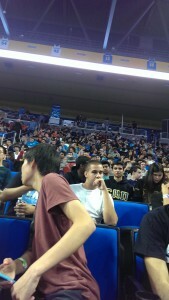 But have you ever seen a stadium filled with 1500 student programmers in Silicon Valley? Los Angeles is the only place in the US with a collegiate hackathon, an event where programmers spend hours together programming and building, of that scale and the LA Hacks team from UCLA made sure it was awesome. Organizer Hadar Dor, who is currently a senior at UCLA, said, “Our mission is to be the driving force to establish Los Angeles as one of the top tech cities in the world. We want UCLA to be the top tech school that comes to mind.” And they did a good job with it. LA Hacks was a 36-hour event on April 11-13th, attracting high school and collegiate programmers from all over the world. Sifting through the crowd, it was easy to see sweatshirts with Berkeley, UCLA, Stanford, USC and many other universities. Walking into Pauley Pavilion, was its own experience. Hackers walking into the stadium were blown away by the way the stadium was laid out. 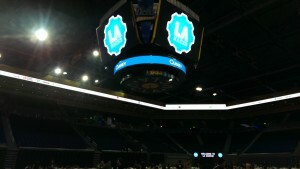 All of the LA Hacks sponsors were displayed around the outer ring of the stadium and the students were greeted by a large glowing LA Hacks logo on the big screens. On the upper lever in the bleachers, sponsors held booths to tell attendees about their products and help students with their programs. “We reached attendance numbers that places us as the biggest collegiate hackathon of all time, and were able to do so in an iconic venue like Pauley Pavilion, home to the most NCAA championships of all time,” noted Brandon Foo, one of the organizers of LA Hacks. The event kicked off with the Opening Ceremony, which featured a talk from Quixey, the main sponsor of the event, and a special keynote speech from SnapChat founder and CEO Evan Spiegel. Both encouraged students to build great things, solve big problems, and change the world. And then the hacking (used synonymously with programming and building) commenced. The demos were high energy and exciting, as several hundred students flooded the floor visiting over 200 submitted projects, which were set up in rows. It is always amazing what people are capable of building in just 36 hours. Projects ranged from motion controlled robot arms to multiplayer chess matches to matching services. The projects utilized a wide range of technology such as LeapMotion, Oculus Rift, and others. Judges rushed around making selections and selected a final group to pitch their creations in front of the entire crowd. Sean Rad, CEO and co-founder of Tinder, announced the winners (how does Tinder work). First place went to Tred, which made a treadmill for the Oculus Rift. The team from the University of Maryland’s hack allowed gamers to not only be immersed in a 3D environment, but also move around by walking in the 3D world using a motion sensitive ground. Tred was popular during the demos as well as there was a long line waiting to try out the project. LA Hacks has set the bar. 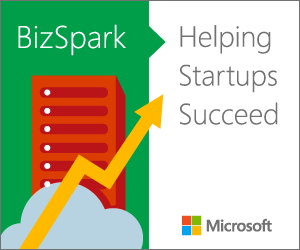 It is now up to Los Angeles to continue to encourage technology and innovation.